Get your monthly Christian subscription box customized for all ages packed full with jewelry, books, accessories and so much more! 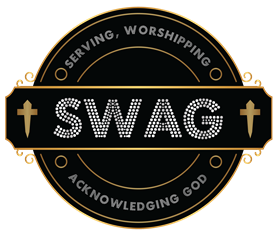 The SWAG Box is a monthly subscription box designed to encourage girls, boys, women and men with their Christian walk with God. It doesn't matter if you are just starting your relationship with him or if you have been seeking him for a while. We want to equip you to be the servant that God requires, to be that worshiper that God loves and to boldly acknowledge God at all times. Each month your subscription SWAG Box is carefully and prayerfully pack with love, and Christian items such as books, jewelry, accessories, music and apparel to help you grow in your faith and display your belief. Take your SWAG to a higher level.